Ashburn, VA: DeSean Jackson, CEO, of the DeSean Jackson Foundation, has scheduled a press conference, to make a public statement regarding November being National Pancreatic Cancer Awareness Month. The press conference will be held at the Washington Redskins’ facility, 21300 Redskins Park Drive, Ashburn, VA 20147, at 1:15 p.m. Media is invited. 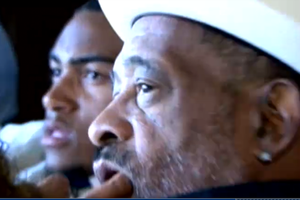 DeSean Jackson and his mother, Gayle Jackson, founded the DeSean Jackson Foundation, in 2010, after William Jackson, DeSean’s father, died from Pancreatic Cancer approximately 5 months after being diagnosed. 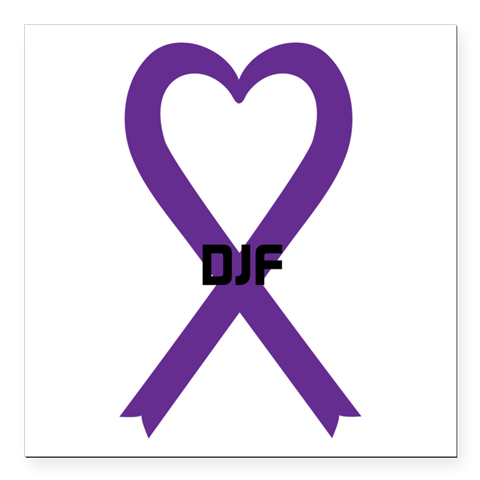 The primary focus of the DeSean Jackson Foundation is Pancreatic Cancer Awareness . Jackson states that we must be “One Team, with One Purpose”–a strategic game plan– in this crucial battle against Pancreatic Cancer. According to the American Cancer Society (2014), of the 46,420 diagnosed with Pancreatic Cancer, over 39,590 will die; the survival rate has not increased significantly over the past 20 years; and, 51 % of those afflicted with Pancreatic Cancer will be African-American. We need to work together to win this war! • Pancreatic cancer is detected the majority of the time when the patient is already stage IV and start to have symptoms. • There is no early detection test for pancreatic cancer. As far as funding for research, it has been the least funded cancer out there and is very resistant to treatment. • Pancreatic cancer is currently the fourth leading cause of cancer death in the United States, and is anticipated to become the second by 2020. • Pancreatic cancer is one of the nation’s deadliest cancers with a five-year relative survival rate of just 6 percent. An estimated 72 percent of patients will die in the first year of diagnosis. • It is estimated that in 2015, 48,960 Americans will be diagnosed with pancreatic cancer, and 40,560 will die from the disease. Seventy-two percent of patients will die within the first year of diagnosis. • Pancreatic cancer is the only major cancer with a 5-year relative survival rate in the single digits, at just 7 percent. • While surgery offers the best chance for survival, fewer than 20 percent of pancreatic cancer cases are diagnosed early enough for surgical intervention. Even with surgery, the disease recurs in approximately 80 percent of these patients, who die within 5 years of recurrence. As a Dad going through Pancreatic Cancer myself, thoroughly enjoyed this article. Just watched the story about your Dad on Sportcenter. What a wonderful tribute!! Mr. Owens. Your message has touched our hearts beyond words. Please provide me with your contact information as soon as possible, in strict confidence, via our personal e-mail, deseanjacksonfoundationceo@yahoo.com. I will personally respond immediately. Love & Prayers. – Gayle Jackson, DeSean’s mother. While we have not met, your father and my mother (Joyceann) were cousins. Through the family interactions I knew your father growing up and have tremendously fond memories of him. As the years passed and he moved west, the family ties loosen and folks lose contact. Your uncle Jackie let me know of your father’s passing shortly after it happened and I just wanted to share my support, thoughts, and prayers for the difference you are trying to make. Be well.